Luc Tuymans (b. 1958, Mortsel, Belgium) lives and works in Antwerp. He studied Fine Art and Painting in Brussels at the Sint-Lukas Instituut (1976-79), Ecole Nationale Supérieure des Arts Visuels de la Cambre (1979-80), and later at the Koninklijke Academie voor Schone Kunsten Antwerpen (1980-82). He also took a degree in History of Art at the Vrije Universiteit, Brussels (1982-86). His work has been included in major survey shows at the Hayward Gallery (1994), Tate Modern (2004), London and Moderna Museet Malmö, Sweden (2009). Solo exhibitions list the ICA, London (1995), Museu Serralves, Porto, Portugal (2006), Mücsarnok Kunsthalle, Budapest (2007), Haus der Kunst, Munich (2008), Zacheta National Gallery of Art, Warsaw (2008), Centro de Arte Contemporáneo de Málaga, Spain (2011), Kunsthalle Bremerhaven, Germany (2012) and The Menil Collection in Houston, Texas (2013). In 2001 Luc Tuymans was the artist to represent Belgium at the 94th Venice Biennale. In 2009, the Wexner Center for the Arts, Columbus, Ohio and the San Francisco Museum of Modern Art organised a major retrospective of his work, that traveled to the Dallas Museum of Art, Museum of Contemporary Art Chicago and Palais des Beaux-Arts, Brussels. He is the honorary recipient of a doctorate from the Univeristy of Arts in Poznan, Poland (2014) and as an artist he has also organised and curated exhibitions at Palais des Beaux-Arts Brussels and National Art Museum of China in Beijing (The State of Things: Brussels/Beijing, 2009), at Brugge Centraal in Bruges, Belgium (Central Europe, 2010) and at Albertinum in Dresden (Constable, Delacroix, Friedrich, Goya, 2013). 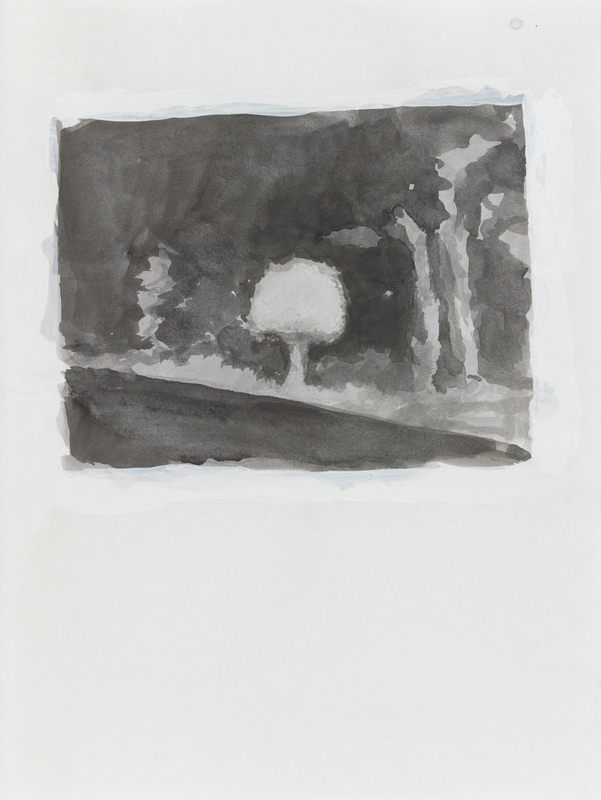 Luc Tuymans has been represented by David Zwirner in New York and London since 1994. Please note this work is framed.